Bureau of Land Management’s (BLM, Department of Interior) great photographer Bob Wick captures a photo that separates the redrock lovers from everybody else. The road seems to dead end in the mountains ahead. Nobody visible in the land for miles around. It’s either incredibly desolate and lonely, or among the most beautiful, everyday views among rocks of incredible beauty you’ll ever see and remember forever. Outdoors people in Utah usually know the Henry Mountains. There’s a buffalo herd there, open to hunting. It’s an amazing rock formation in the middle of other amazing rocks, a towering landmark for miles. 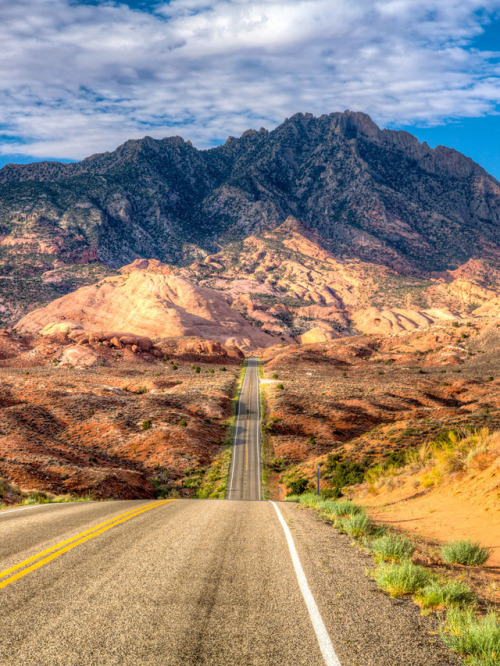 Who wouldn’t like to be on that road? 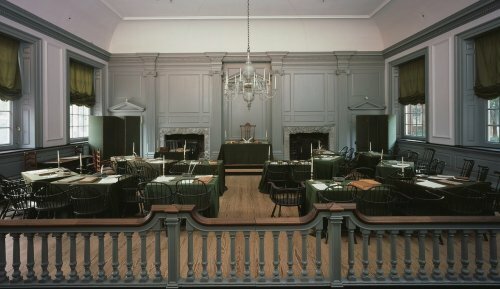 Caption from Department of Interior’s Tumblr site: 225 years ago today, the Constitution of the United States was signed in Independence Hall. Today, you can tour the Hall and see where the Declaration of Independence and Constitution were both signed, and you can also view the Liberty Bell [close by]. This is a site not to miss while visiting Philadelphia. Does this room look a little familiar? You’ve probably seen Howard Chandler Christy’s painting of the event we celebrate today. Howard Chandler Christy’s “Signing of the Constitution,” 1940; Architect of the Capitol image. This massive, 20′ x 30′ painting hangs in the House Wing of the U.S. Capitol, in the east stairway — a location where, alas, most people cannot get to without a guide anymore. Click to the Architect of the Capitol’s site for the story of the painting, intended by Congress to fill a gap in the story of America told by art in the Rotunda and throughout the halls of the building. Dr. Gordon Lloyd, Pepperdine University’s School of Public Policy, and expert in the Constitution and its history. I met Lloyd almost a decade ago, in programs for history teachers, sponsored by the Bill of Rights Institute, Liberty Fund, and National Endowment for the Humanities. My old friend Dr. Gordon Lloyd of Pepperdine University, working with the Ashbrook Center for Public Affairs, created a study tool from the Christy painting which should be used a lot more in classrooms. Click over to the Edsitement site, and see for yourself. Every year there are a few more tools on the internet to study the Constitution with, for teachers to use in the classroom on Constitution Day and every day. I wonder what will be the effects in another decade. How important is it that students learn the Constitution, what it says, and how it affects our daily lives? How important is it that students learn the history of the creation of the Constitution, and does that history reverberate for those students as they venture out into their roles as citizens in the republic created by the document? This is an edited encore post. Department of Interior’s video this week leads with climate change — and in fact, each segment deals with climate change in some way. This week: the White House releases the third annual National Climate Assessment, showing that climate change is already affecting Americans and the U.S. economy; USGS releases a Climate Change Viewer that can track water resource changes at the county, state, and watershed level; Secretary Jewell joins California leaders and first responders as the state braces for another tough wildfire season; the Secretary meets with community leaders and experts to talk about the balance between conservation and smart development; the Secretary announces the approval of a new solar energy project on tribal lands in Nevada, and attends the 69th Departmental Honor Awards Convocation in Washington, DC. 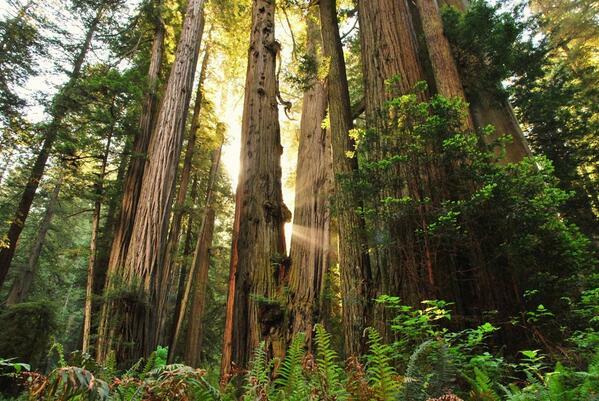 Today is Arbor Day, too? You can use this year around. For Women’s History Month, the Department of the Interior did a brief biographical video honoring Rachel Carson. Interior is home to U.S. Fish and Wildlife Service (USFWS), the agency where Carson spent most of her life in research and writing. The film is narrated by Dan Ashe, the current Director of USFWS. Saluting biologist, writer, and conservationist Rachel Carson. Hang on to the bookmark for next year, or better, use it in an appropriate part of your regular curriculum. Women’s history, and environmental history, doesn’t happen in just one month. Teach it when the kids need it. Delicate Arch, with a dusting of snow, as the sun sets. 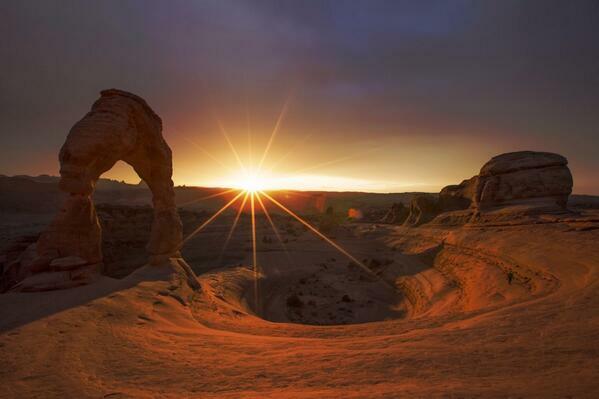 A great reason to live in Moab, Utah, or visit there. 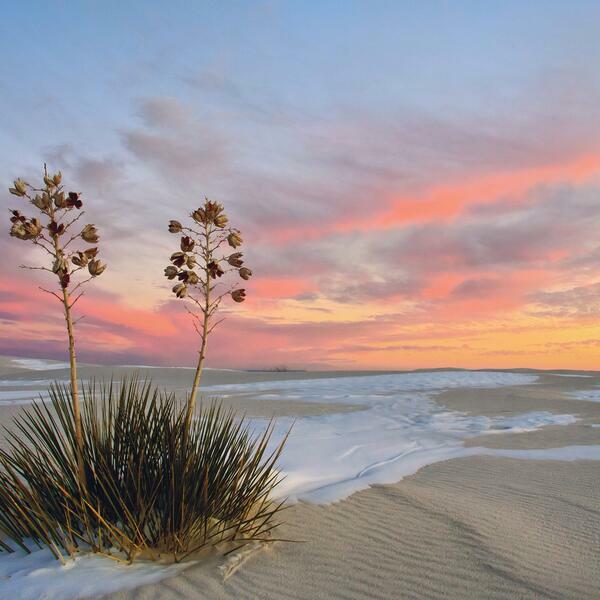 One of the problems of touring places like White Sands National Monument is that most tourists arrive mid-day; most spectacular views are probably close to sunrise or sunset, when the sky adds colors other than “bright” to the scene. Yes, the same White Sands where the Trinity Project first triggered an atomic weapon, in 1945 — but the blast site is actually about 100 miles north of the National Monument on the military’s White Sands Missile Range. Historical reasons to visit, as well as nature and beauty reasons. I assume that’s some sort of yucca in the photo; can you tell more specifically? White Sands at Where’s Madison?